Take the DART train from Dublin City Centre (Tara St., Pearse Street, and Connolly stations are all centrally located) to Clontarf. 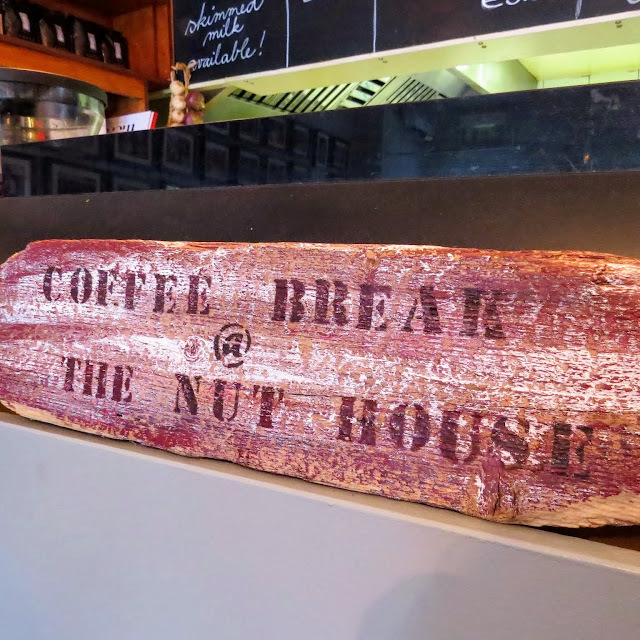 Walk to the Food Room and enjoy coffee and breakfast. The Food Room serves fantastic porridge with honey and bananas in a bright, airy seating area. Walk along the coast and onto Bull Island for a hike. Time your visit with low tide if possible for maximum bird watching opportunities. Walk through St. Anne's Park in Raheny and admire the rose gardens and the impressive copse of moss covered trees. Make your way to Nuthouse Bistro in Killester for lunch. A hearty bowl of soup with Irish soda bread makes for a perfect lunch. The Nuthouse's triple-decker chicken club sandwich is also a real treat after all the walking you did in the morning. Wash it all down with a pot of tea. Your next stop after lunch is Clontarf Castle. Pass the gate house, walk up the winding driveway and behold!...a castle surrounded by modern day vehicles! There has been a castle on this site since 1172 but the current building dates to 1837 and is now a luxury hotel. Inside, the tower is decked out in period decorations. Find information on the history of the castle and the Battle of Clontarf hanging conveniently on the wall. Stop for a drink at the bar and steep in the ambiance before moving on. Since you're in the neighborhood, make a stop at St. John the Baptist Cemetery. The grounds are simply stunning. Take a quiet amble around to respectfully admire the worn and tilted gravestones. Step through the open gate off to the side of the main leaf covered ruin and you'll find yourself standing in the center of an old church. Don't you just love taking walks and discovering something completely unexpected? Always walk through the open door. Head back into Dublin City on the DART. Depending on your interests, you have a choice to make: Food, Folklore, and Fairies at the Brazen Head or the Literary Pub Crawl. The Brazen Head is Ireland's oldest pub and dates back to before 1200. 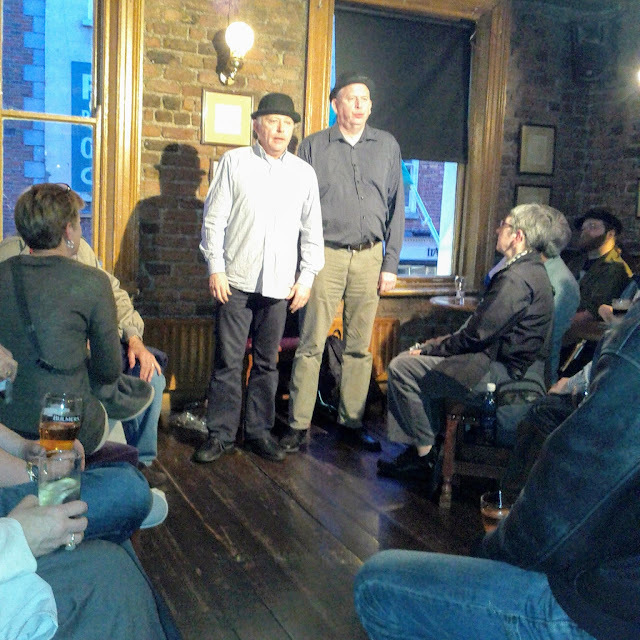 The Brazen Head hosts a storytelling event featuring "Food, Folklore, and Fairies". When we went, I was a little skeptical that it might just be incredibly touristy. However, while there were plenty of tourists in the audience, it was great craic and I learned a lot about Irish Folklore. Storytelling is interspersed with the food service (filling Irish fare). Our storyteller was simply riveting. As you enjoy dinner and the show, take a look at the surroundings. Portraits of famous Irish patriots line the wall above you. The combination of food and storytelling makes for a fantastic evening's entertainment at the Brazen Head. If you opt for the Literary Pub Crawl, pop into Davy Byrnes in the Dublin City Centre for a spot of dinner and a pint before the tour kicks off. You'll be impressed by the colorful glass dome of the pub not to mention the piping hot and delicious Irish stew. The Literary Pub Crawl kicks off at The Duke just across the street. Expect to be entertained with readings from some select Irish authors and maybe a little song and dance. Throughout the evening you'll visit three different pubs (we visited The Duke, O'Neill's, and The Old Stand). Your hosts will pepper you with trivia questions throughout the night: pay attention, there are prizes at the end of the tour. 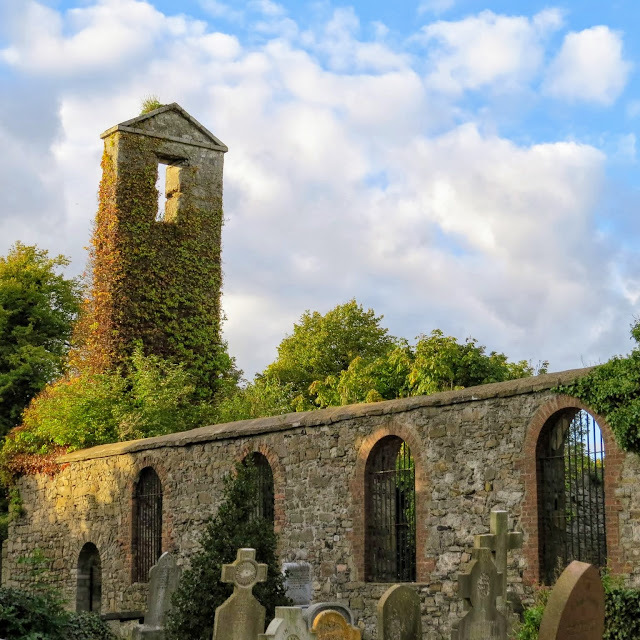 Seasonal Variation: If you visit Dublin in October, instead of returning to Dublin City from Clontarf, head to Castle Dracula for an evening of haunted house, magic, and a bit of history. Did you know that Bram Stoker, author of Dracula is from Dublin? Learn about a one day Dublin City itinerary focused on Clontarf and Bull Island. 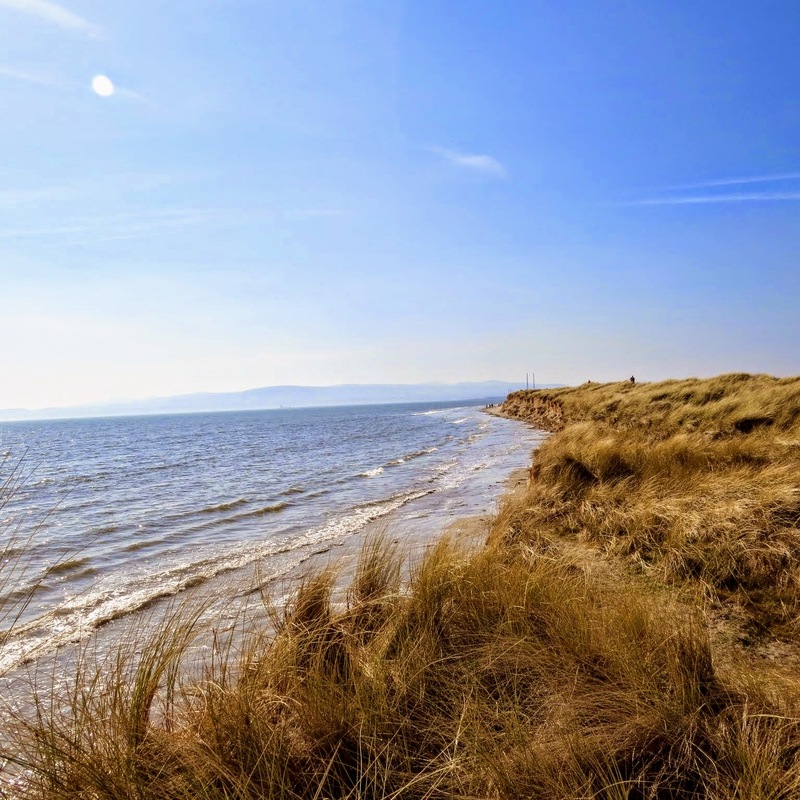 Explore Dublin's Northside in Clontarf. 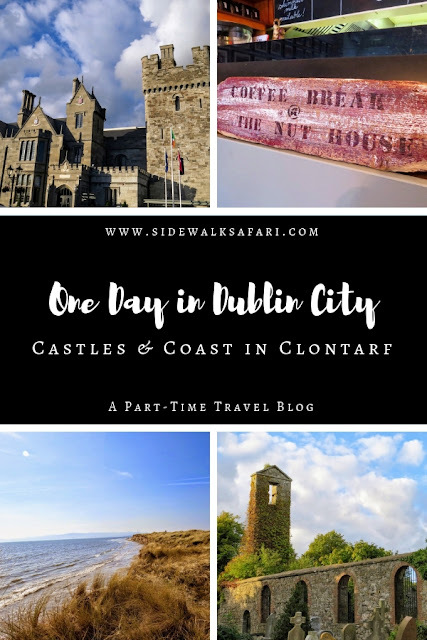 Discover non-touristy Dublin for a day with a visit to Clontarf.